With a name derived from the French word for "ball," the Boule is a dense round loaf incorporating multiple seeds--sunflower, flax, sesame, poppy, and pumpkin. 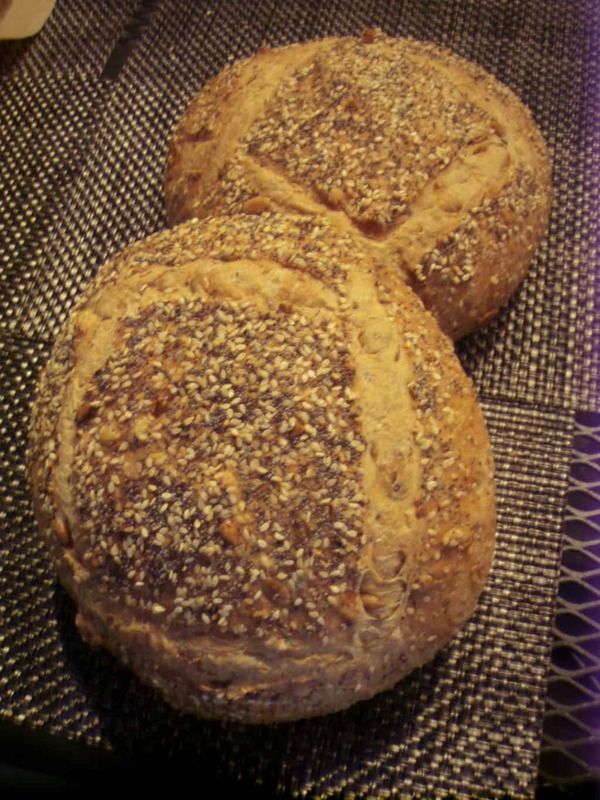 The Hearty Rustic Seeded Boule is a flavorful, versatile bread. Whether the beginning of a hearty lunch sandwich or toasted for a simple breakfast or snack, the Lynch Creek Farm (LCF) Boule is sure to please the palate! PORTIONS: A Boule is about 9" in diameter and 3" high and weighs approximately 18 ounces. RE-HEATING: All of our free-form, rustic loaves may be sliced and eaten at room temperature, but better if heated or lightly toasted. Do not use a microwave oven to re-heat LCF Breads. Delectable aroma with taste to match!